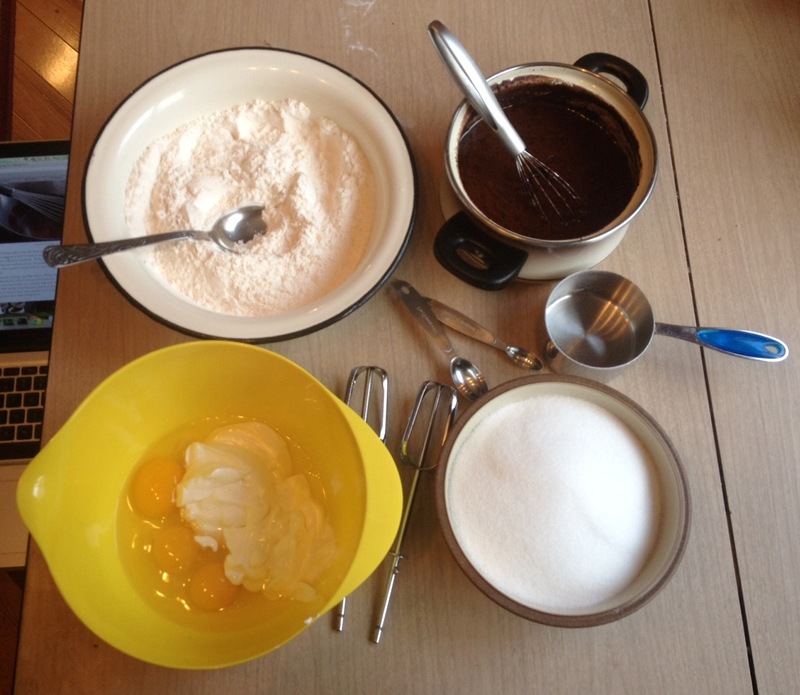 Begin by making your ganache. Ensure the 13oz of chocolate are chopped in small pieces. Place in a medium bowl. Bring the whipping cream to a boil over medium heat. 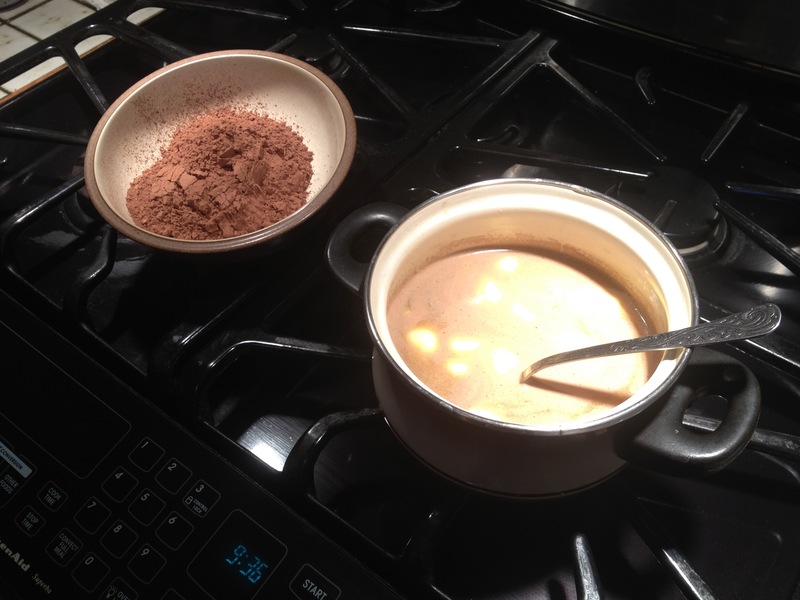 Remove from heat and pour over the chocolate pieces. Let stand for 1-2 minutes and stir until completely smooth. Add in 3 tbsp of butter in pieces and 3 tsp rum and stir until combined. Leave at room temperature to cool until it thickens but can still be piped. Refrigerate to speed up cooling if necessary - see Tips section below. For the cupcakes, combine the cola and 3 sticks of butter in a saucepan and bring to a simmer over medium heat. Remove from heat and add the cocoa powder. Whisk until completely smooth. Let cool for at least 20 minutes. The mixture will look like it is separating but this is fine. Combine dry ingredients in a large bowl: flour, baking soda and salt. In large bowl, combine sour cream and eggs. Beat until combined with an electric mixer. Add 3 cups sugar and beat until combined. Add in cola mixture (if it has separated, give it a good stir before adding). Mix until smooth. Add in dry ingredients and mix until fully combined. 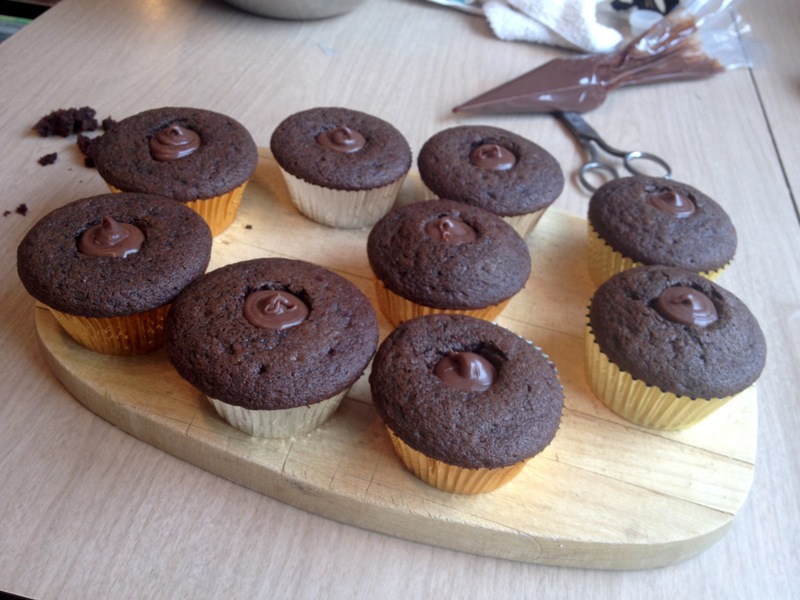 Preheat oven to 350C and line your cupcake trays with paper liners. Pipe or spoon the batter into your baking trays, filling about 2/3 of the way. The batter will expand and rise during baking. Bake for about 20 minutes or until a cake-tester comes out clean. Rotate trays halfway through. 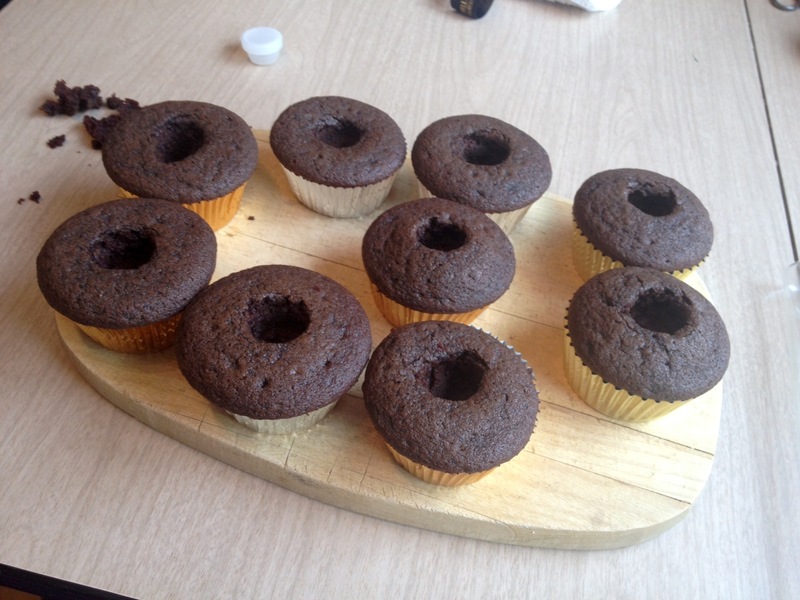 Once the cupcakes are fully cooled, cut an inch-sized hole in the middle of each cupcake. Transfer your ganache into a piping bag and fill the holes with ganache. 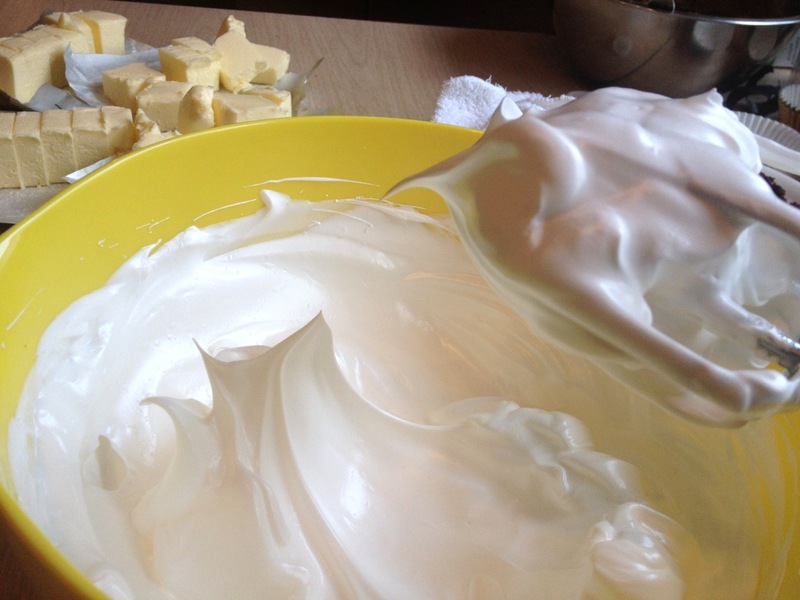 To make the buttercream frosting, place your egg whites and 1 1/4 cup of sugar in a double boiler over low-medium heat. 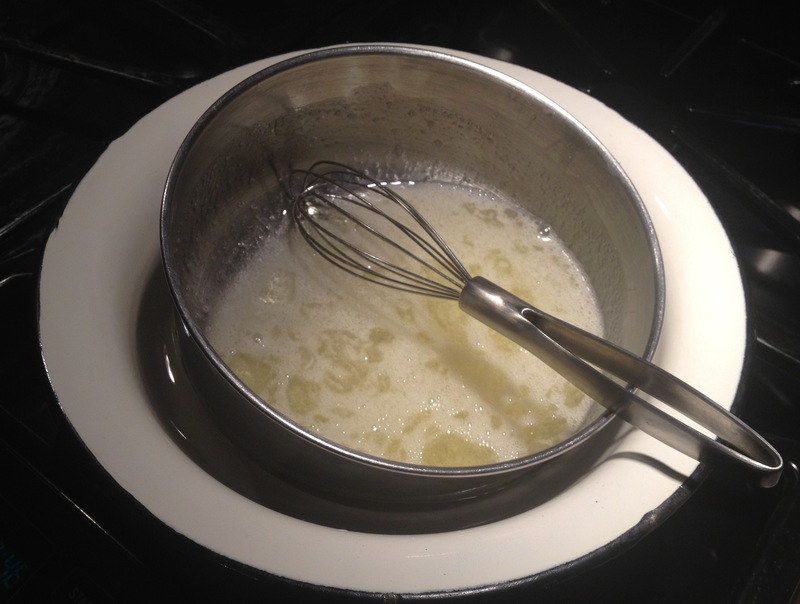 Heat, whisking constantly, until the sugar is fully dissolved in the egg whites. The mixture should be warm (not hot) to touch and you should not be able to feel any undissolved sugar. Remove the mixture from heat and mix with an electric mixer, gradually increasing speed, until stiff peaks form. Lower the mixer speed to low-medium and start adding in the 4 sticks of butter, a few tablespoons at a time. 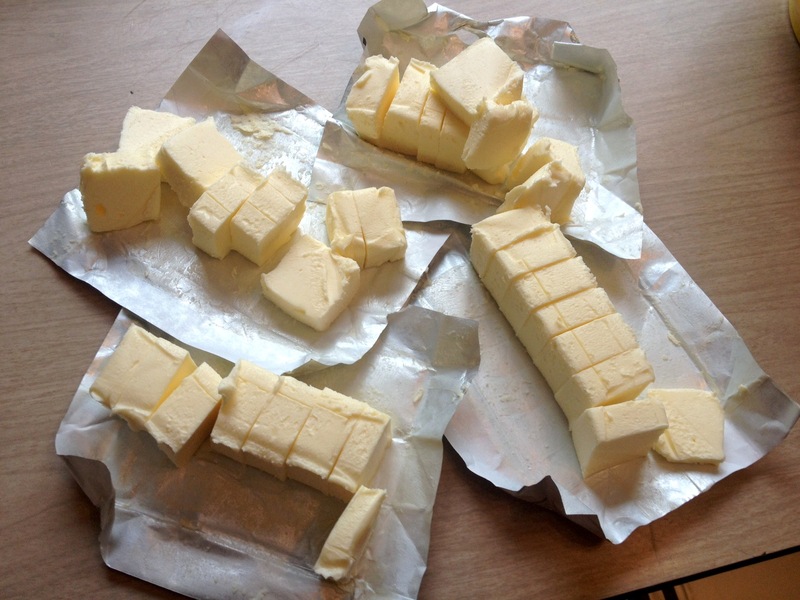 As you add the butter, the mixture will start to look clumpy and coagulated. 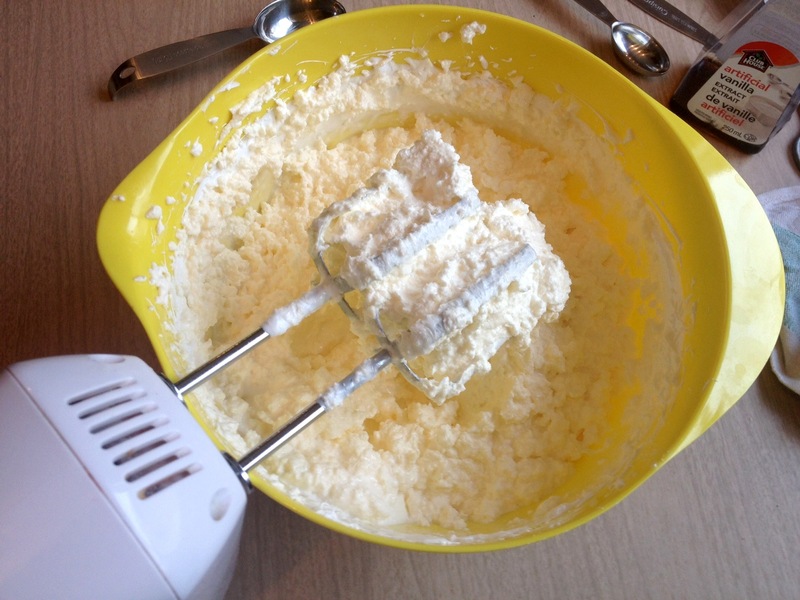 Keep mixing until you have added all the butter and the mixture starts to look smooth. Add in the rum and mix just until combined and smooth. Transfer the icing to a piping bag and pipe onto the cupcakes using a star-shaped tip. 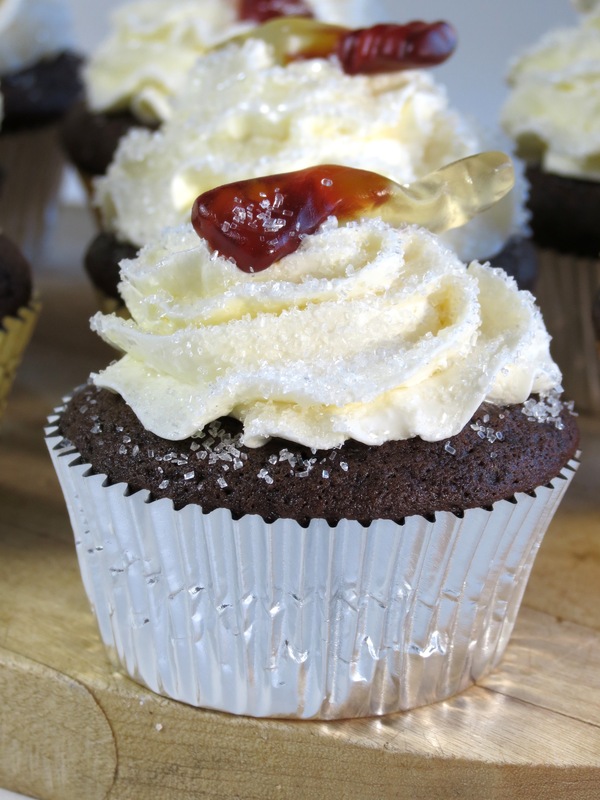 Top each cupcake with a cola gummy candy and sprinkle with granulated or coarse sanding sugar. Enjoy! - I have found that the best way to get a perfect consistency for the ganache is to make it the night before and leave at room temperature overnight to thicken. Otherwise, you will likely need to use the fridge to cool it to a thick enough consistency in a short amount of time. If you are using the fridge, you will need to watch the consistency closely to make sure it doesn’t cool too much too quickly which will make it un-pipeable. Alternatively, you can make the ganache in advance, leave it in the fridge to store, and just bring to room temperature before piping. - When making buttercream frosting, and anytime you are beating butter with an electric mixer, make sure you use a paddle attachment. 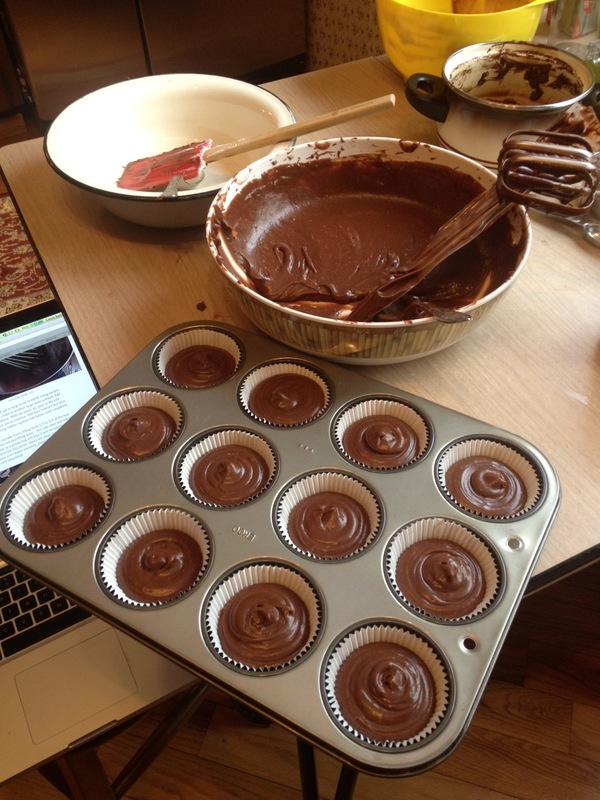 (I didn’t have one with me when I made these cupcakes which is why you see the whisk attachments in the photos.) The whisk attachment creates a lot of air bubbles in your frosting which you don’t want. 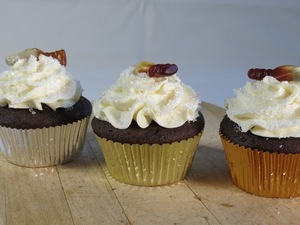 - Be careful adding the rum to the buttercream frosting, adding a little at a time. Adding too much liquid will result in it not mixing into the buttercream properly but will separate. However, if it separates a little bit, don’t worry. The frosting will still taste great and you can cover up any imperfections with sanding sugar.